China was represented at the meeting by its special representative on Latin American affairs, Yin Hengmin. Viña del Mar: Asia-Pacific ministers said Wednesday they would seek to move forward on a trade agreement resembling the Trans-Pacific Partnership after President Donald Trump killed the deal by withdrawing the United States. After two days of high-level meetings in Chile, officials from the 11 other countries in TPP -- plus China and South Korea -- wrapped up their talks with no clear plan to replace the defunct deal but a dogged determination not to throw out years of painstaking negotiations. "We have decided to move forward together, in particular with the Asia-Pacific countries," Mexican Foreign Minister Luis Videgaray told a news conference, without specifying which ones. "The withdrawal of a very important member of TPP opens up new opportunities," he said. Negotiated under former US president Barack Obama, who wanted to counter China's rising influence, TPP was to have slashed tariffs and tightened trade ties between countries accounting for some 40 percent of the world economy. But Trump's decision to pull out of the deal killed it before it could even be implemented -- the Republican president's biggest blow yet to the free-trade deals he blames for shipping American jobs overseas. Chilean Foreign Minister Heraldo Munoz, who hosted the meeting in the Pacific resort town of Vina del Mar, said the idea was to "generate more certainty" at a time of "protectionist tendencies in some parts of the world." The US ambassador to Chile, Carol Perez, also attended -- although she was not invited to a side meeting of the 11 remaining TPP members. Videgaray said any future trade deals had to meet two criteria. One is to be of the same "high quality" as TPP or higher in terms of labor regulations, environmental regulations, intellectual property protections and other requirements. The other is that any replacement deals would have to come "in the short term," he said. Officials did not rule out a "TPP 2.0" with China. 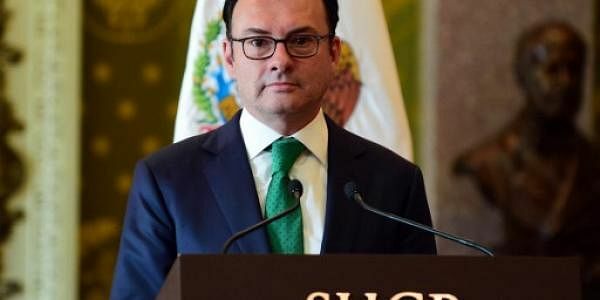 "It would be up to China to decide, within its strategy, whether it can adopt the (regulatory) discipline of TPP," Mexican Economy Minister Ildefonso Guajardo told AFP.